CardsDirect is now offering hundreds of new greeting card designs printed on 100% recycled paper stock. Printed on paper containing at least 30% post-consumer fiber, consumers may now actively join in efforts to protect the environment and our renewable resources by selecting from a wide range of attractive, earth-friendly greeting cards. In response to requests from consumers and its continuing efforts to protect the environment, CardsDirect, LLC, an online leader in customizable, printed greeting cards is pleased to announce the addition of hundreds of new greeting card designs printed on recycled paper. Now, not only is product of the finest quality and craftsmanship being offered, CardsDirect is also helping our environment by presenting recycled greeting card designs that are printed on 100% recycled paper stock. All of its recycled cards are printed on papers containing at least 30% post-consumer fiber, with many on 100% post-consumer fiber. "Greeting cards made from recycled post-consumer fibers have the look and feel and offer the same thickness and print quality as cards printed on non-recycled stock but provide consumers with the added advantage of knowing some part has been done to help support an eco friendly environment," said Kevin Strawbridge, VP of Marketing at CardsDirect. 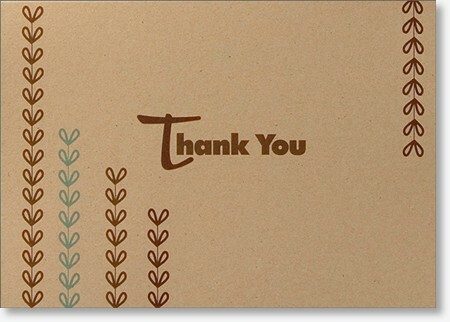 In a variety of traditional and unique designs and paper colors, business greeting cards like Birthday and Thank You on recycled paper offer full personalization and verse customization just like other greeting cards. CardsDirect is proud to be able to offer recycled greeting cards in a conscious effort to partner with its valued customers on this earth friendly initiative. In addition, the "CardsDirect 2007/2008 Card Recycling and Re-Use Program" has been wildly successful and will be continued in 2009. Under this program, CardsDirect collects reusable cards and recycles them by donating cards to organizations that can reuse them in mailings or for crafts. CardsDirect is committed to doing its part to make the best use of natural resources by offering a three-tiered approach to conservation. 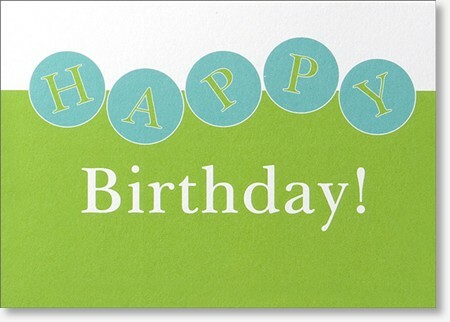 By ordering greeting cards online for business or personal use there is no need to consume gas. And now, through this new extended line of greeting cards printed on recycled paper, and its post production reuse program initiative, CardsDirect is doing its best to promote smart use of renewable resources. Founded in 1998, CardsDirect, LLC is a catalog and internet-based social expression company headquartered in Plano, Texas that has grown into one of the most trusted online resources for custom imprinted card products. Whether it is 25 cards or 25,000+ cards, CardsDirect gives all orders the personal attention deserved. CardsDirect offers custom greeting cards for consumers and businesses including Christmas cards, holiday cards (Thanksgiving, Hanukkah, New Years, etc.) photo cards, thank you cards, anniversary cards and assortment packs for all occasions. All Fortune 100 companies order cards from CardsDirect annually due to an easy ordering process, value pricing, and top notch customer service. CardsDirect has been recognized eight years running as a distinguished dealer and has won numerous awards from industry leaders and manufacturers. The CardsDirect team is always working hard to provide a positive, easy and enjoyable card buying experience.